This comic is actually inspired by a walk I took with my friend Angela recently... and also my whole life. 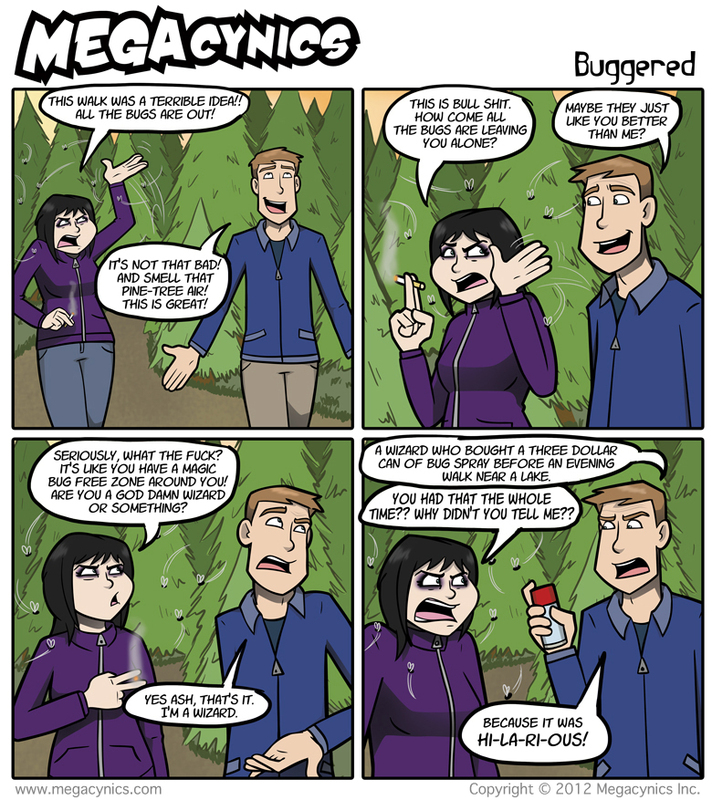 For some reason I smell FANTASTIC to mosquitoes and I'm always the one getting bit thirty times while my friends end up with maybe one or two bites. When Angela and I went on our walk, she led me down a path by a bog (presumably where she hides the bodies of those who anger her) which was ripe with mosquitoes. I spent the majority of the walk swatting at the air around my head and cursing profusely while she walked straight on with her hands in her pockets (no bug spray) and all the bugs left her alone. I choose to believe that she's in cahoots with the mosquito population.